Way back last year we broke the news that Back to the Future would not make it to WiiWare, but Telltale has just announced an agreement with Nintendo of America that will see the series reach Wii after all. Back to the Future: The Game will contain all the episodes available digitally on other platforms, and will see release on Wii in October for $19.99. It's the first in a series of releases from Telltale that will hopefully see upcoming dino romp Jurassic Park reach the console as well. 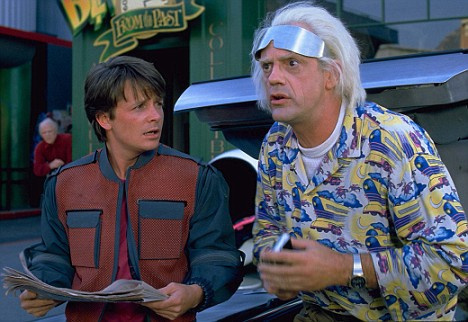 Are you pleased the series is finally coming to Wii or are you all DeLoreaned out after its appearances on PC and PS3? SAN RAFAEL , CA. – August 24 2011– Telltale Games, the leading independent digital publisher and developer of episodic interactive entertainment, today announced it has signed an agreement to publish video games for the Wii™ home console from Nintendo. 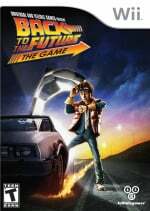 The company also announced that its best-selling game, Back to the Future: The Game, which has achieved more than one million downloaded episodes on PC, will be the first title under this agreement to be published in North America at retail this October for $19.99. Any chance for Europe release? Why is this necessary when there is the completly amazing Back ot the Future for the NES by LJN? I loved this series... although the game could have used some serious polish (on all platforms). As for seeing a physical release, if I hadn't already purchased it, I would be all over this idea. However, seeing as how I already own the digital format, I'll be happy letting this one pass me by. Very Nice! I'd love it if StrongBad made it to retail. I only ever got around to buying the first episode but I really liked it. Great Scott! This is awesome! I got a taster of episode 1 for free and had been planning on buying the others... but heck with it, I'm getting it for Wii! @Ryno: There's no excuse for that joke. That is the gamers' "Company-That-Shal-Not-Be-Named." I've already bought these games twice. I'll probably now buy them a third time so I can have a physical copy and keep it in the plastic. Cool! I've loved Sam & Max, Strong Bad, and Tales of Monkey Island so this will certainly be an instant buy for me. Thanks for bringing this over Telltale! Is Nintendo the publisher also? @MasterGraveheart Haha.. Sorry, I could not resist especially after finding out Waveboy just picked it up! I will watch where I say the "Company-That-Shal-Not-Be-Named" from now on. I hope Sam & Max Season 3 is coming to Wii as well. I'm with @bossmank on this one. What are the games about? Definitely support Telltale by purchasing this one. @SuperLink Like all of Telltale's other games, it's an episodic point-and-click adventure (think Heavy Rain with a mouse cursor). Telltale's Back to the Future puts a twist on the ending of the first movie: Instead of Doc coming back from the future in the end, he winds up trapped in the past and Marty needs to save him. played a bit of the first episode- which I got free from TellTale - and liked it! If this is a good port I just might add it to my already jam-packed purchasing schedule for this Fall. Now if this comes to Europe it will instantly be mine. 19.99!? I'm getting two copies. Extremely smart pricing. I'll be sure to pick this up at some point. It only took two posts for someone to say "great scott!" I'm proud. Alright! Another birthday present! Kirby and Back to the Future, what more could a guy want? As the owner of the world's largest collection of Jurassic Park VHS tapes (no, I'm not making that up), I DEMAND that they release Jurassic Park for Wii! Still, this is also pretty good news. @SteveW: That's what a point-and-click game is, dude. The best part about them is experiencing the story (that, and finding fun little hidden tidbits). If your point-and-click game has a terrible story, throw it out the window. Freaking awesome, it also coming out on PSN, but I will opt in for the disc version on the Wii! In other news, Nintendo admits they have no idea how to sell WiiWare and therefore have to go back to disc. This is basically a plus for those people who don't like digital copies of stuff. Good to know, I'll scoop it up if I see it. Why in the #[email protected]% is this not coming to 3DS too? Wii is dying and 3DS is rising. Anything Wii can do, 3DS can do better. I sincerely hope Telltale starts bringing these to 3DS and Vita. @SilverBaretta - he's talking about cut-scenes, not a story. Cutscenes are not needed really. The greatest graphic adventure games of Sierra didn't have a lot of cutscenes, and in fact not even a whole lot of story in the beginning. This compilation also went to the PS3. It has nothing to do with Wiiware "limitations". It's like the bit trip compilation, and it's good it came to the Wii.